“Shameless”, and “Patriot” and she can be seen in Stephen Cone’s feature film, Henry Gamble’s Birthday Party. In 2009, she was fortunate enough to start her Meisner training with Audrey Francis and Laura Hooper at Black Box Acting. In 2010, she continued her training in Meisner and Viewpoints at The School at Steppenwolf with Amy Morton and K. Todd Freeman. 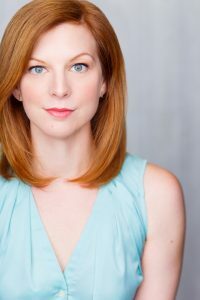 She is now on staff as a Meisner Instructor with both Black Box Acting and The School at Steppenwolf. She is a proud member of Actor’s Equity and SAG/AFTRA. Darci is thrilled to be represented by the team at Gray Talent.